A manifestation determination is a serious matter. If your child has been scheduled for a manifestation determination, it usually means the administration is accusing your child of serious misconduct and they want to kick your child out of school. It's a scary situation, and you may be feeling confused, worried or even angry. But there is hope. The manifestation determination is actually a defense procedure that can be used to stop the disciplinary action dead in its tracks. It is your opportunity to defend your child and keep them in school. And it has nothing to do with guilt or innocence. It's about your child's disability. So even if your child did commit the alleged offense, you may still be able to stop the disciplinary action. 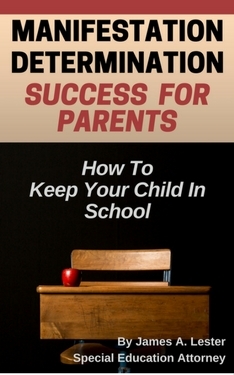 But to be an effective advocate for your child, you need to know what the manifestation determination process is all about, how it works, and most importantly what you as a parent need to do to protect your child. I have represented many families who were facing a manifestation determination. And I want you to know there are things you can do to greatly increase your odds of winning your manifestation determination and keeping your child in school. You can have more influence over the outcome of this situation than you probably think. Chapter summaries highlight and summarize the key information so you can see how everything fits together easily, and get a quick review if you forget something. And an Action Plan Checklist at the end of the book lays out all of the steps in one place, in order, so you can easily keep track of where you are and what you need to do next. Everything about this book is designed to empower you with the strategies, knowledge, and confidence you need to effectively defend your child and keep them in school. The manifestation determination process happens quickly. You only have a few days to get ready. You need information and answers now. There are important things to do in the days before the meeting, so don't wait until the last minute. Click on the button below to get instant access to this ebook and get started immediately. James Lester is a Michigan attorney who has been practicing special education law for over a decade. In addition to advising and representing parents, he speaks and writes about special education advocacy and solving school related problems. If you are not satisfied with this ebook for any reason, just send me an email requesting a refund within 30 days of purchase and your purchase price will be refunded. Obviously I cannot guarantee that every person who reads this book will win their manifestation determination. But I believe this book will be a huge help for anyone pursuing that objective. and if you disagree, I'll refund your money. This book is for public information and education purposes only. Nothing in this book is or is intended to be legal advice, nor does it create an attorney/client relationship, nor is it seeking, offering or soliciting an attorney/client relationship. 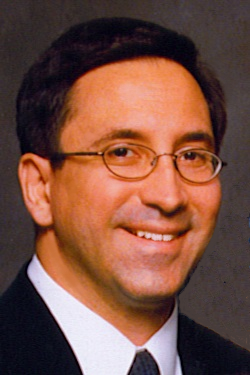 Mr. Lester is licensed to practice law in Michigan only, and does not practice law in any other jurisdiction. The information in this ebook is not a substitute for legal or other professional advice and assistance, and should you need legal advice or representation it is recommended that you obtain legal assistance from a properly qualified attorney licensed in your jurisdiction. This ebook is general in its coverage of the subject matter, and does not address the specific facts and circumstances of each reader’s situation. It is thus up to the reader to exercise discretion and discernment with regard to whether and how to apply the information in the book to their unique circumstances, and the author makes no representations or warranties with regard to the applicability, usefulness or appropriateness of the information for any particular reader or with regard to likely outcomes from applying the information in any particular case. ALL WARRANTIES OF ANY KIND, EXPRESS OR IMPLIED, IN RELATION TO THIS EBOOK, AND THE INFORMATION CONTAINED IN THIS EBOOK OR THE USE THEREOF, INCLUDING BUT NOT LIMITED TO ANY WARRANTEE OF MERCHANTABILITY OR FITNESS FOR A PARTICULAR PURPOSE. SOME JURISDICTIONS DO NOT ALLOW WAIVERS OF IMPLIED WARRANTEES OR LIABILITY FOR CERTAIN TYPES OF DAMAGES, SO THESE LIMITATIONS MAY NOT APPLY TO YOU. If you are unsatisfied with this ebook for any reason whatsoever, you can receive a refund of your purchase price by requesting a refund within 30 days of purchase. This ebook is available for purchase in the United States only, and only to those over 18 years of age. By purchasing this ebook you represent that you meet both of those conditions. These disclaimers and any claim or litigation related to or arising out of the purchase or use of this ebook shall be governed by and interpreted under the laws of the State of Michigan, United States of America, and jurisdiction and venue for any claim, dispute or litigation related to this ebook shall exclusively be in a court of competent jurisdiction in the State of Michigan. Purchase of this ebook constitutes an acceptance of the above terms.